My blossom on the youthful tree of life was not attractive. By age 11, I was a near-sighted, left-handed, gangly, goofy girl with wrinkly hair and absolutely no ability to conform. Outside of chores, the only activity for youth in the southern Idaho farming community of 1,000 people was a program called 4-H. The organization for youth was led by adult volunteers who promoted the four personal areas of focus: head, heart, hands, and health. Desperately hoping to help me focus and find some element of usefulness, my mother enrolled me in a 4-H cooking class with the admonition that I behave and not embarrass her. I failed on both assignments. Twelve pre-teen girls enrolled in the 4-H club, and the leader had the meetings in her home. I usually sat on the floor so I wouldn’t disturb the meticulous décor. The couches were covered in bright floral chintz with coordinated fabric covering the matching side chairs. Festive garden-themed wallpaper featuring red velvet roses covered the walls, and pictures of pastoral scenes hung in gilded frames. A carved clock ticked softly on the polished marble mantel. I still had traces of manure on my shoes and didn’t belong in such a regal setting. Each club member was required to do a cooking demonstration, and I practiced at home for weeks before it was my turn. I wasn’t thrilled about the assignment to make a lemon cake but I had promised my mother I would do it. I assembled my recipe, ingredients, and supplies and reluctantly stood in front of the group. I donned my hand-stitched apron and carefully positioned my pre-arranged supplies and ingredients on the kitchen counter. I dumped the ingredients into the bowl and began to stir. The leader watched intently and made serious comments on my evaluation page. A few of my friends giggled with anticipation because they suspected I would deviate from proper protocol. I couldn’t disappoint them, so I added a new twist to my demonstration. “Sometimes an added ingredient can be fun for the recipe,” I said. Then I reached into my pocket, pulled out a dead mouse I had found earlier in the barn, and dropped it into the cake batter. I stirred solemnly and waited for the mayhem. Some of the girls shrieked, others covered their mouths in horror, and the rest looked at the leader for her reaction. I just kept on stirring, naively thinking I would be commended for introducing a brilliant way to spice up the dull meeting. I imagined receiving a trophy on stage at some worldwide 4-H conference. I underestimated the leader’s rage. On the verge of tears, she grabbed the bowl and tossed it into the back yard, knocking over one of her prized begonia plants. 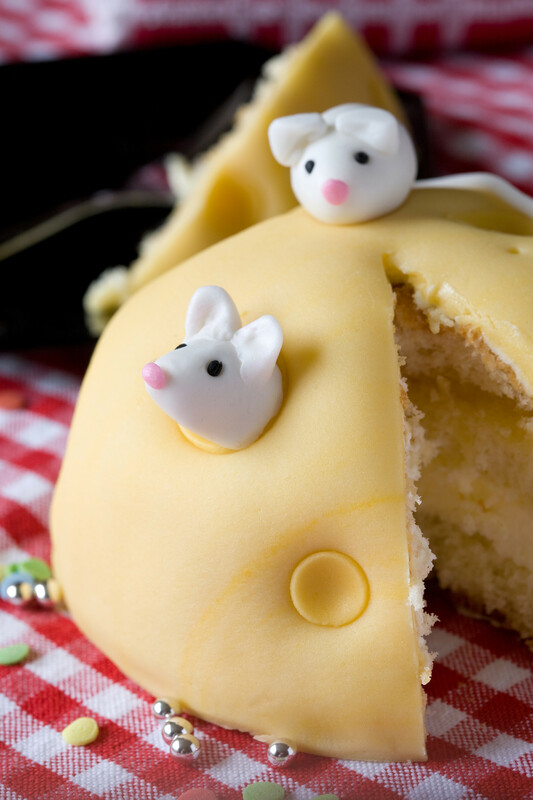 I could see the tail of the little mouse sticking up from the batter. This wasn’t my finest hour. I realized I probably wasn’t ready to have the privilege of cooking for my own family and definitely hadn’t observed problem-solving procedures or improved the group’s head, heart, hands, or health. The leader called my mother and demanded that she immediately get me, and I was ordered to stand outside and wait. A few minutes later, my beleaguered mother maneuvered the station wagon in front of the house and rushed to the door. She didn’t look at me, and she suddenly seemed older. As my mortified mother offered profuse apologies to the leader, I slipped into the back seat of the car and tried to be contrite. I heard the leader say that I was never allowed in her house again and that I was kicked out of the 4-H club. Forever. I never did retrieve our nice, heavy mixing bowl. My mother was humiliated and refused to consider the humor in the situation. I still feel bad about the incident because it caused her shame within the community and irritated a good woman. The next day, I was sent to the potato field to pull sunflowers. I didn’t mind because I didn’t need to scrape off my shoes or sit quietly in a room with red velvet wallpaper. Sometimes, though, I still stifle a snicker. Snicker? I am HOWLING! That is so hilarious, it should make history! 4 H history, for sure! I bet the other kids still remember your demonstration, and as midlife women are still snickering about how you spiced up that recipe. Darn you Elaine, I can’t stop laughing. I am sorry for your Mom but I do think the stuffy should be brought up short once in a while. How is this not funny? How was that horrible woman so horrible? My gosh……oh well, a miserable day a few years ago, a great story today. I come from a small Idaho town as well, having 2500 people in my town. I saw this piece on Huffington Post and laughed out loud. I know the kinds of people you talk about with the fancy house and being the odd one out. The prim and proper girls that were in the 4H Club at my school were no exception I can just picture their faces if something like that happened. I applaud the gutsy attempt to spice up your meeting. Keep on baking!